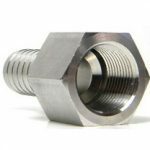 Industrial Stainless Hose Fittings Along with standard JIC (Joint Industry Council) and NPT (National Pipe Thread) stainless hose fitting types, we have two hose adapters; the male JIC to NPT male stainless hose fitting, and the male JIC to NPT Female stainless hose fitting. 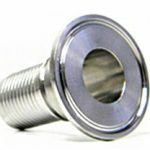 Stainless Hose Fittings for Process Instrumentation – Our stainless hose fittings in this catalog section provides a compression fitting style that works very well when connecting up to our annealed ( smooth tube stub) & notched tube adapters, and O ring face seal stainless hose fitting for making quick connections. 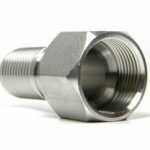 Sanitary Stainless Hose Fittings – select from standard 1” and 1.5” or mini sanitary fittings of ¾” and ½” sizes. 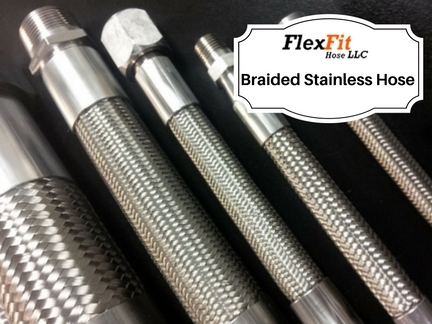 this type of stainless hose fitting offered by FlexFit Hose meets or exceeds ASME-BPE standards. 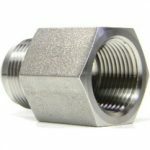 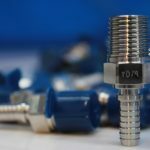 Our stainless hose fittings are made standard from 316L stainless steel and fall within tight tolerances; other materials are available upon request. 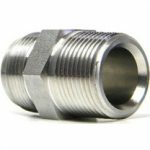 We manufacture hose ferrules, or “crimp collars”, made from 304 stainless steel as well. 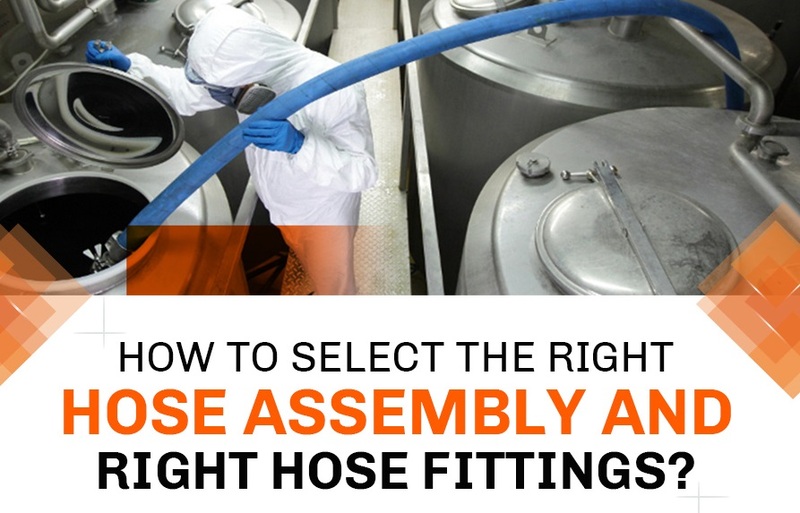 Flexfit Hose fittings connect up properly when interchanging with other major brands of fittings. 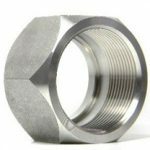 Whether used for your industrial hose, as a connection within your instrumentation process, or for a sanitary PTFE or silicone hose assembly, our stainless hose fittings deliver superior performance. 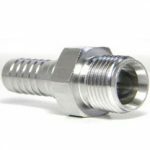 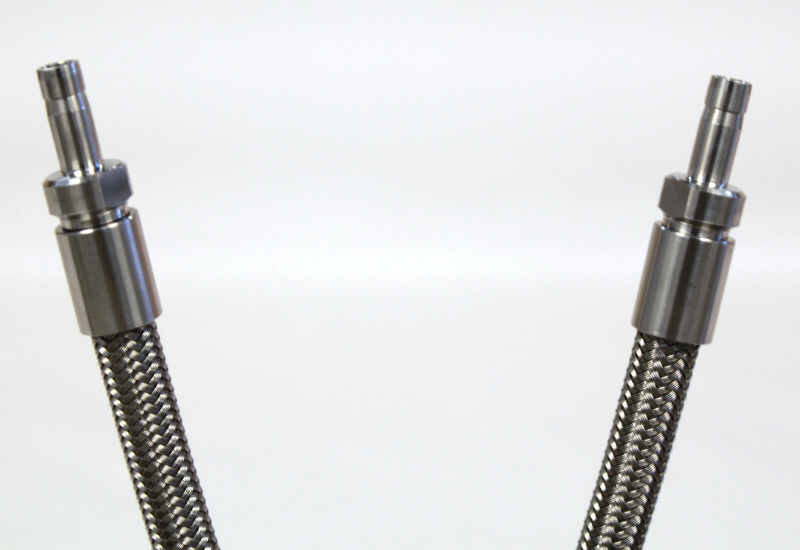 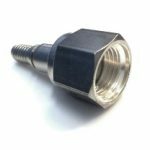 Used as end connections to well fabricated industrial hose assemblies, these stainless hose fittings will add to the assembly’s longer life-cycle, along with decreased production downtime and improving processes requiring sanitary equipment. 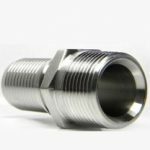 With in-house design and CNC Swiss machine capabilities, FlexFit Hose can help with custom stainless hose fitting solutions required for your unique manufacturing process. 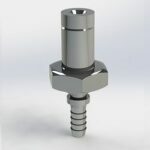 Each project is evaluated based on design requirements, materials and manufacturing feasibility, including considerations for volume and lead time. 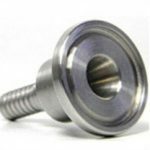 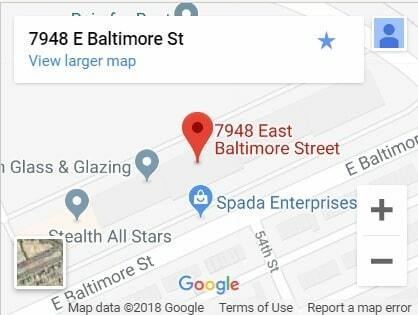 Please contact us today to discuss your custom solution.